University Vision Center offers full service optical services on college and business park campuses. Our mission is to provide better access to convenient, cost effective optical services directly where you work. Colleges, universities and office parks have evolved to incorporate all aspects of student and employee life. Vision care is needed on campus. 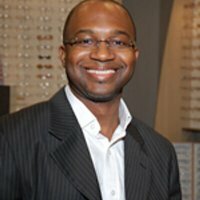 An on site optical retail center provides the best opportunity for eye care and eyewear services. Our full-service retail optical center has been on campuses since 2008. The University Vision Center brand is a proven business model. It is dedicated to the college/university and business park community; its students, faculty, staff, and corporate employees, while bringing expanded health services. University Vision Center (UVC) is an optical retailer located on or near college/university campuses or business parks. We have launched sites at the Georgia Institute of Technology, in East Point, GA, next door to the Morehouse College satellite health clinic and in Atlanta, GA near Spelman College and Clark Atlanta University and at Hartsfield Jackson Airport. UVC is leveraging the success of these stores by expanding to other college campuses and office parks across the United States. UVC offers convenient access to optical services, including complete eye exams, corrective lenses, name brand and designer frames, and accessories, directly to students, professors, staff, and corporate employees right near where they work or attend school. University Vision Center was launched in Atlanta, GA in August of 2008. Graduate of The Pensylvannia College of Optometry. Michael opened his first full service optical within one year of graduation along with two of his colleagues. Since then, he has owened and operated five full service optometric offices in three states. Yossi Shoham, the president of Shoham Consulting, has been working in all facets of the IT industry for more than 17 years. His Vision 2020 Online is the practice management and electronic commerce software that is used by UVC and is fully HIPPA compliant. Graduate of The Pensylvannia College of Optometry. Dr. Val is she is warmly know is a married, mother of four and has been practicing since 2008. She is a contact lens specialist and oversees all the doctors for UVC.